GoForward Gahanna is a community driven Strategic Plan that expresses the values and aspirations of the community. Rooted in measured outcomes, the plan is driven and supported by actions for the community to undertake to achieve desired results. The City of Gahanna embarked on a community wide engagement process and integrated results into a compelling action agenda for the future of the City. 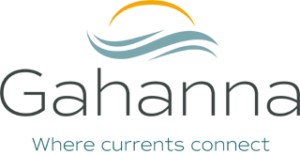 The City of Gahanna has begun a process to develop a community-driven strategic plan that is rooted in and focused on achieving measurable results for the community. The overall planning process was kicked off with a robust set of ten public engagement events, starting in January 2016. An Outreach Team comprised of several community leaders and volunteers has been developed to help spread the word about this exciting opportunity and personally invite the community to get involved. In January and February, we held 10 public workshops in a variety of locations around the city to Listen and Learn about what matters most to the Gahanna community. Between these meetings and an online forum, we gathered over 900 ideas from nearly 300 participants. A summary of the Listening and Learning phase can be found here. Working with our consulting partners, we sorted and analyzed the community input and synthesized it with information gathered in one-on-one interviews with current and former elected officials and employee focus groups. The product of this work is GoForward Gahanna: Results that Matter, our citywide strategic plan that will guide our policy agenda, budgets and management for the next five years.